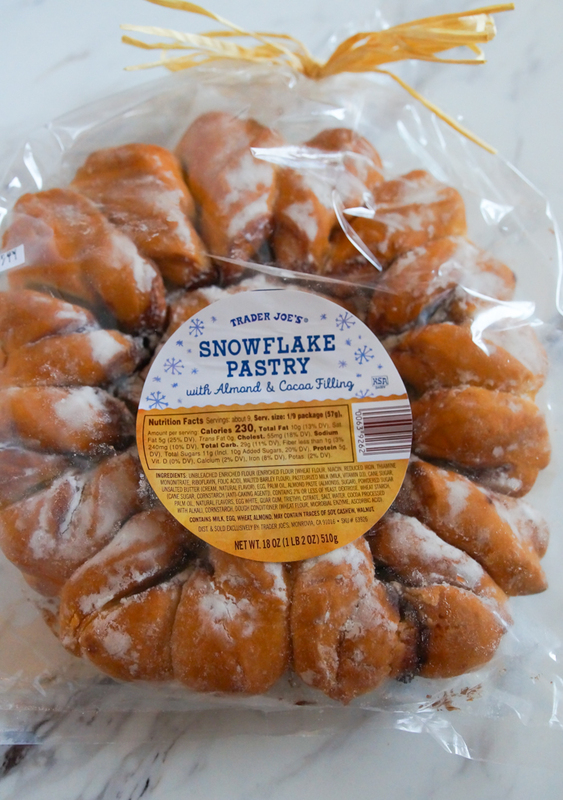 Today we're reviewing Trader Joe's Snowflake Pastry. 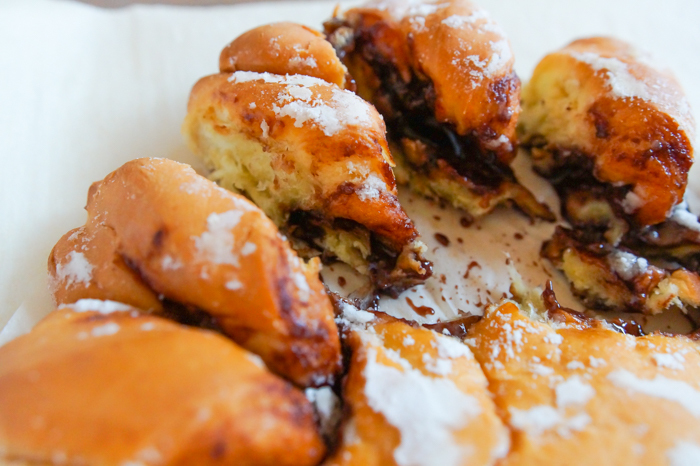 Bread filled with almonds and cocoa? They're speaking my love language. You'll find this over in the small "baked goods" area of TJ's. The pastry is fairly substantial in size (package says 9 servings) and costs $5.99. The cashier at Trader Joe's said this is best warmed up. Trader Joe's employees are so knowledgeable about their products, so we took her advice and warmed this at 350 for 5 minutes. She says: Don't get me wrong; I ate three pieces of this in one sitting. The bread is pillowy and soft. The chocolate isn't what I expected. It was more syrupy rather than the chocolate you'd find in a croissant. I thought I was getting a raisin taste, but there's no raisin in there...must be my refined palate. I feel like I'm reviewing a wine, "chocolate with a hint of raisin." Good, but I'd choose a Kringle instead. He says: My gold-standard for breakfast pastry is a cheese danish, followed by a Kringle from Wisconsin. This treat from TJ's was average. 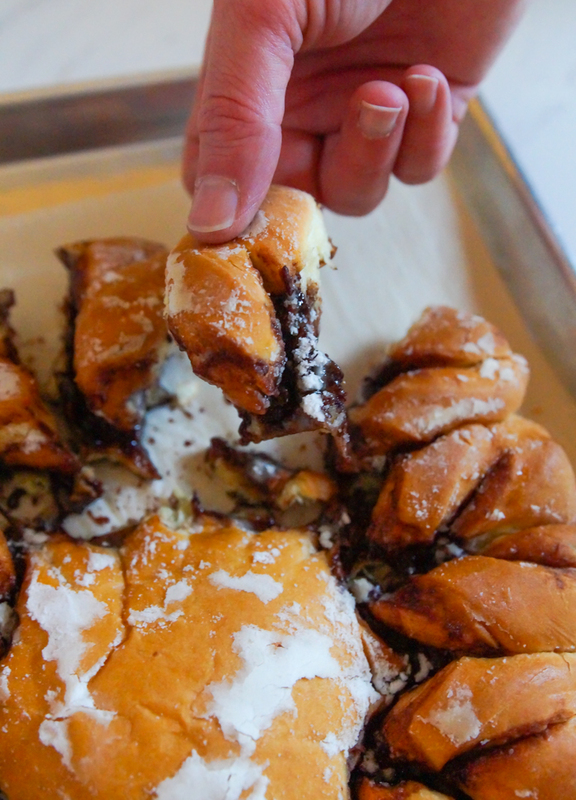 The pastry part was fine, but the overall flavor of the chocolate and the almond was lacking. It needs some Emeril Lagasse "kick it up a notch" treatment on the flavor. I didn't enjoy the runny consistency of the chocolate either. The light sugar coating was good and may have saved me from giving it a lower score. 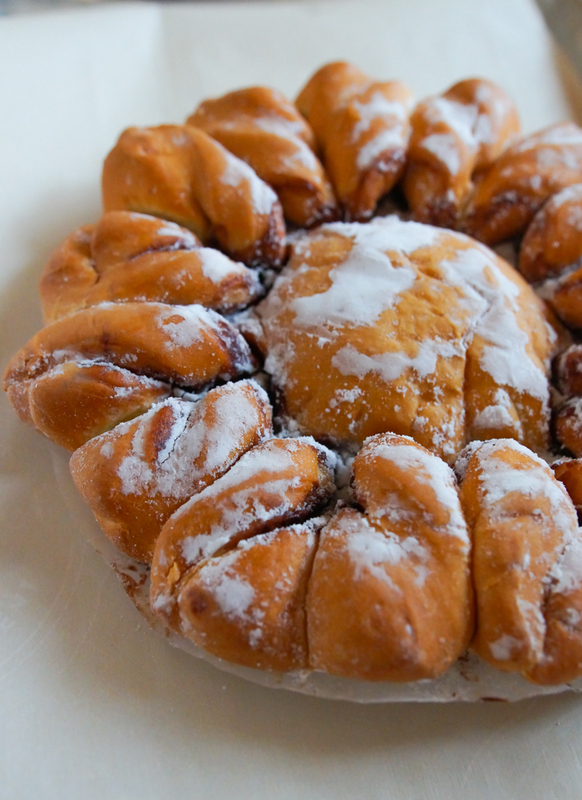 Trader Joe's Snowflake Pastry: We rather have Kringle. Pecan Kringle is the best! Thanks for your takes on this since the description sounds so yummy. Maybe the chocolate/raisin overwhelmed the almond? ?